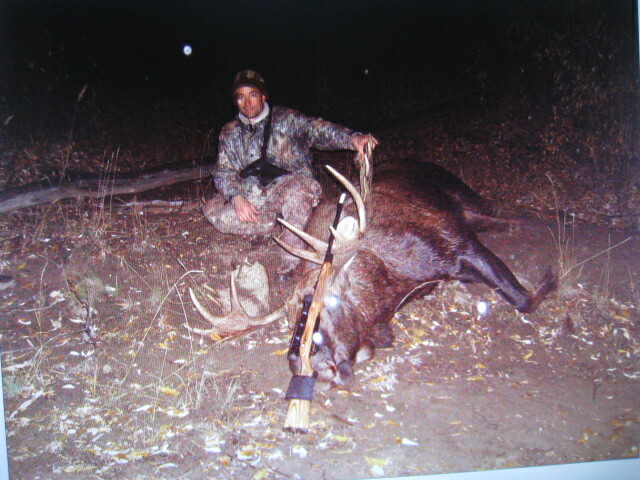 Some pictures from the past years hunting. 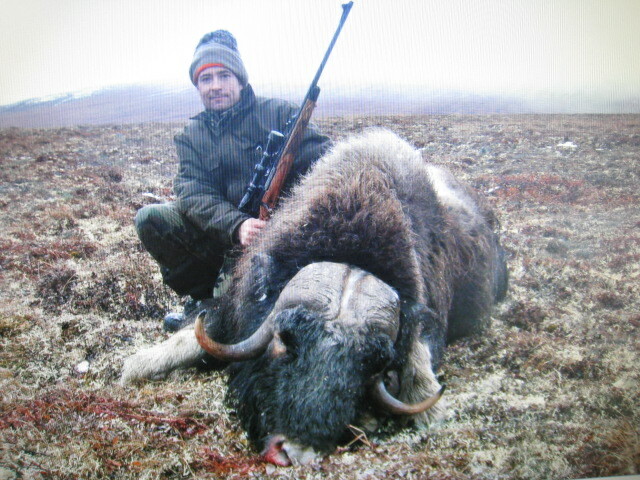 Got a cinnamon black bear in May, a 51" moose in September, and a bull muskox in October. The freezer is FULL ! I struck out again sheep hunting though, saw lots of sheep, but no legal rams. Lovely animals Roklok, what's that rifle you're using, doesn't look like a musselloader. You must have a nice fur collection!! Nothing like having your choice of meat for dinner. I swear I'm commin up there some day. Looks like a year well spent! Thanks for sharing some pics! 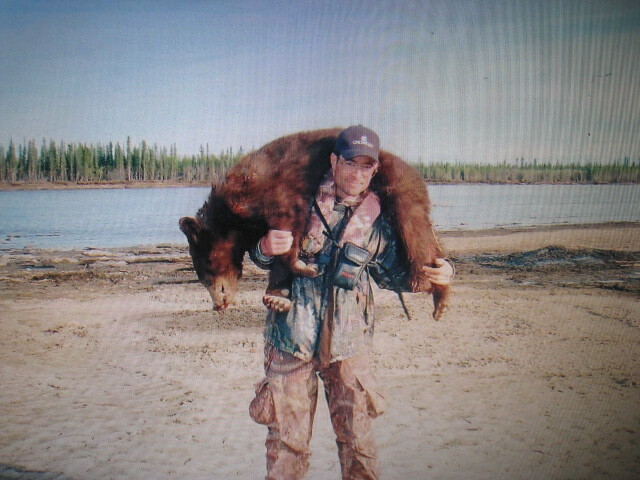 Suzanne, I was using my favorite modern rifle, a Remington .35 Whelen (got the black bear with 45-70). I love hunting with flintlocks, but it is next to impossible to do on many Alaskan hunts, as blackpowder is not available in the bush and cant be transported via passenger aircraft. .35 Whelen huh?? What loads are you using? Thanks Joe. Mike, I use a handloaded 250 grain Nosler Partition at 2550 FPS in the Whelen for everything from deer to "the big stuff". I have shot lengthwise through a average size grizzly with this bullet. Suz the 45-70 is great, I have it in the BFR revolver and now I have an H&R Buffalo Classic on lay away (hopefully mama picks it up for Xmas). I got to play with a 45-70 Handi Rifle and had a lot of fun. A little pain was involved but well worth it. I can't to get Buffy home and play. Mule to move blackpowder ? Don't think I will ask how you plan to pull that off ! However, if you ever get the notion to drive to Alaska, bring along about 10 pounds of 3F GOEX. I will make it worth your while. Blackpowder is HARD to come by up here, even in Fairbanks on the road system. When I moved up here, I brought a few pounds with me. If I knew it was so hard to come by up here, I would have brought a lot more. Yes, the Mauser 98 is a popular action to build a .35 Whelen on. Plenty strong. Only issue is the magazine length, which requires seating some bullets a bit deeper than in a Remington 700. This guy: www.35caliber.com/3.html is in your neck of the woods and can rebore a 30-06 to .35 Whelen using same barrel. Recoil depends on the load, of course. Factory 200 grain loads are pretty mild, my 250 grain handloads are about the same as a .338 Win Mag recoil wise. Roklok thanks! He's in Cottage Grove! The nearest guy I've found was in Grants Pass, cool thanks! I'm still waiting for my K98k to arrive. Dunno if the barrel is any good or not but if it isn't I would consider .35 Whelen. If it is good I'll keep the 8mm. I think I can push the 8mm more than I have, I've been using pretty light loads, trying to preserve the rifle for what it is. Now I want to build something for purpose.